I feel I must have been living under a rock most of my life. 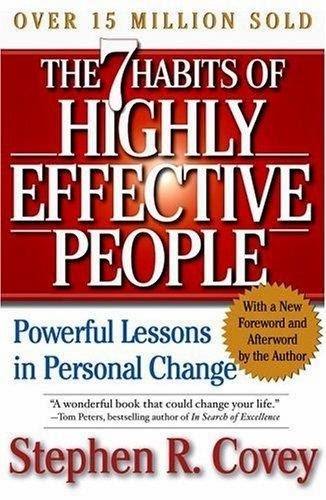 A number of my friends had heard of this book and read it. I must be late to the party. 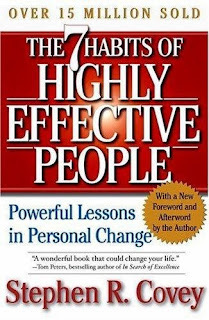 The Seven Habits of Highly Effective People is a straightforward guide to self-improvement.The title sets out the path of the book, the seven habits. There is plenty of information packed into each chapter. I found it useful to take notes, as not to forget many of these points. As much as it focuses on the positives of these habits, it's also an honest and respectful look at the more negative parts of life. The author refrains from the easy-out of swift judgement, instead emphasizing with the individual and treating those cases as an opportunity for improvement.